It’s not just about where you live your life…it’s about how you live your life. There’s no more rewarding way to live it than in a welcoming community like Courtice; in touch with nature and yourself. Surrounded by rolling countryside, acres of greenbelt, open spaces, forested groves, ravines and creeks; Courtice is blessed with an abundance of natural and modern amenities. 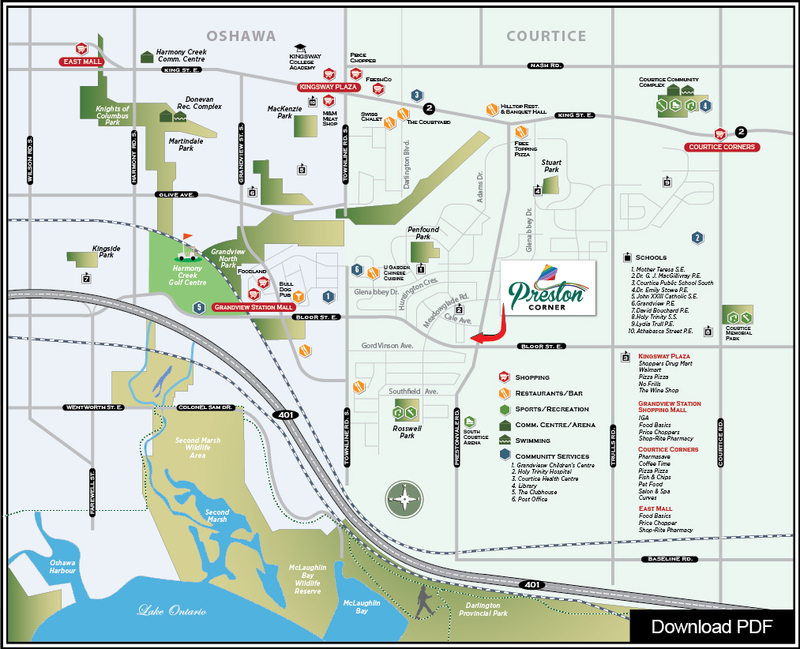 Here you’ll enjoy the convenience of being just minutes from Highway 401, Lake Ontario and the GO train. Shopping at the Oshawa Centre, a Saturday afternoon exploring the city’s beautiful harbour and lakeside parks or maybe a weekend of camping at Darlington Provincial Park. All are within easy reach.